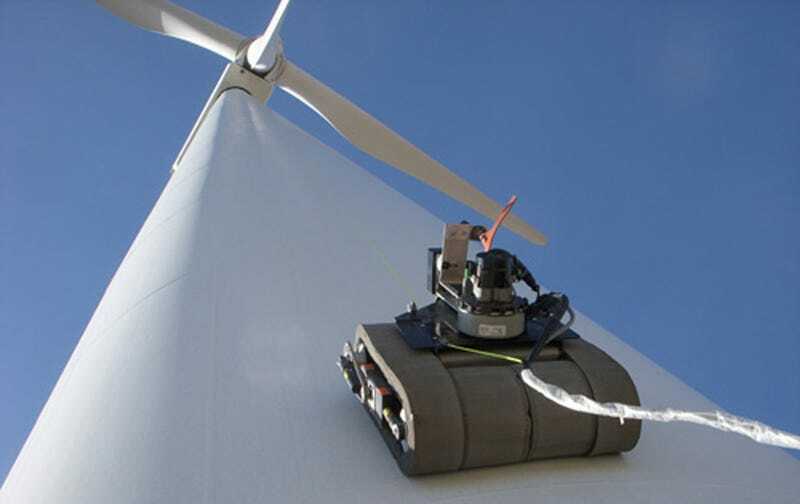 How do you inspect a wind turbine? It's actually a pretty tedious process that takes around four hours and involves someone standing out in a field, stopping the turbine, and photographing any problems through a powerful telephoto lens. To make it infinitely easier, GE made a spiderman-like wall climbing robot.